International superstar Usher has requested another restraining order against Darshelle Jones-Rakestraw! Jones-Rakestraw stalked the R&B singer and even showed up at his home in 2012. 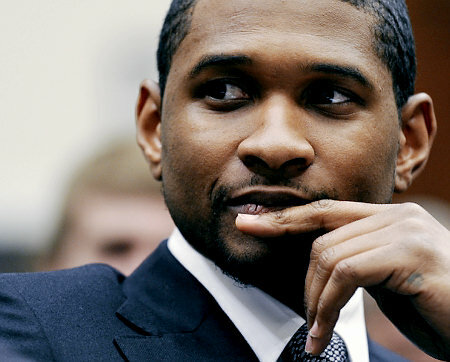 Usher filed for a new order at the end of November due to messages he was receiving via Twitter and Instagram! Usher has returned to court to request another restraining order against the woman who stalked him and actually showed up at his home in 2012, Darshelle Jones-Rakestraw. The international superstar has reportedly filed this new order November 21 following his recent receipt of unnerving messages via Twitter and Instagram from Jones-Rakestraw. The first order expired in the summer of 2013. You may remember that when the original order was filed, Jones-Rakestraw actually celebrated via YouTube video because her official court documents contained Usher’s signature. Following Jones-Rakestraw’s frightening appearance at Usher’s home, she was taken to a psychiatric ward for a mental evaluation but was later released. The Ohio native did keep her physical distance from Usher and his family, but has continued her online claims of their affiliation with numerous provocative pictures and videos via social media, tagging him in the posts. Really Usher you filing an a restraining order against her man come on now! Dude you must be shaken what the heck this woman is going to do to you!! !